Try out our "must-have" facial toner with this handy sample size, also ideal for a weekend away. Wonderfully refreshing and suitable for all skin types. It stimulates the moisturising processes of the skin and misting the face lightly with this toner completes the cleansing routine. The anthyllis and witch hazel extracts contribute to the revitalising effect and assist the skin in improving and maintaining elasticity. 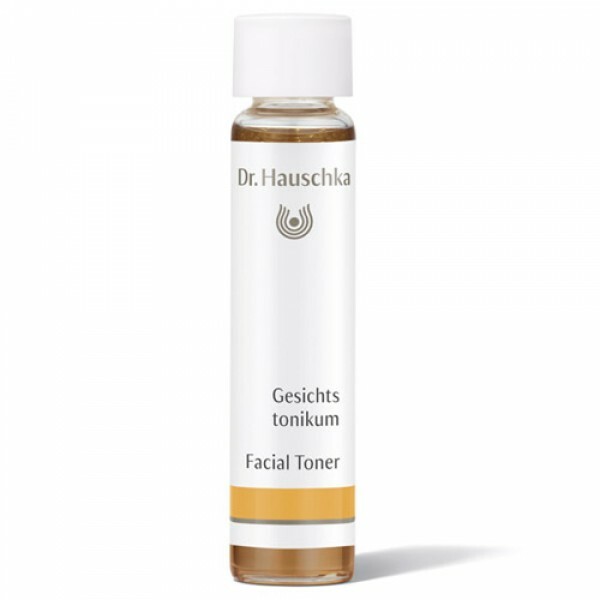 If you have very oily or acne prone skin then try the Dr Hauschka Clarifying Toner instead.